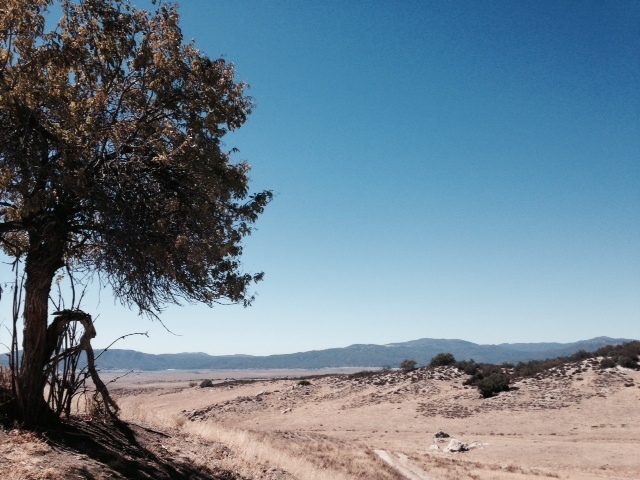 Location: Across from Cal Fire Station 52, 31049 Highway 79, Warner Springs. The location is 38.7 miles east of Interstate 15, 6.8 miles north of Highway 76 and 13.8 miles north of Highway 78. Park in the narrow dirt turnout across from the fire station by the Pacific Crest Trail decal. 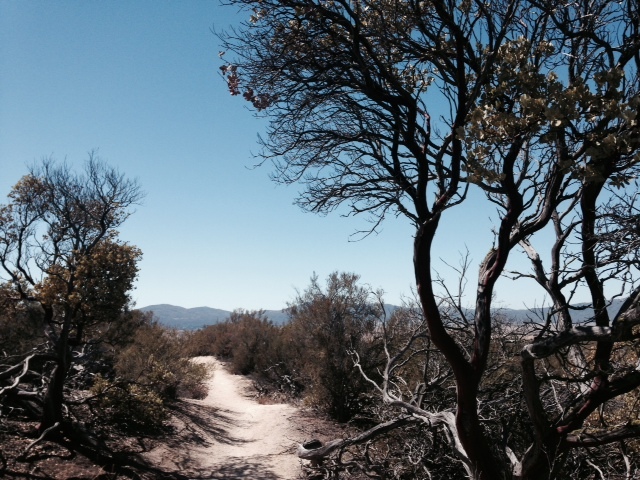 Everything enjoyable about inland San Diego County hiking can be found on this stretch of the Pacific Crest Trail. 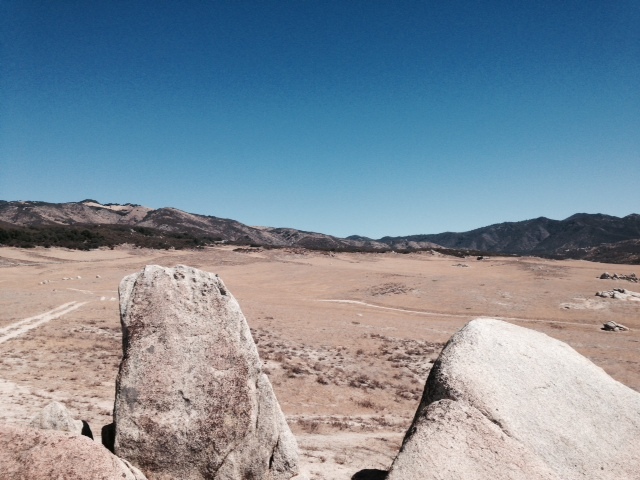 The destination is Eagle Rock, 3.3 miles from Warner Springs, but even just a short stroll is worthwhile. Scenic highlights include geology, open fields, shaded canyons and a who’s who of San Diego mountains. 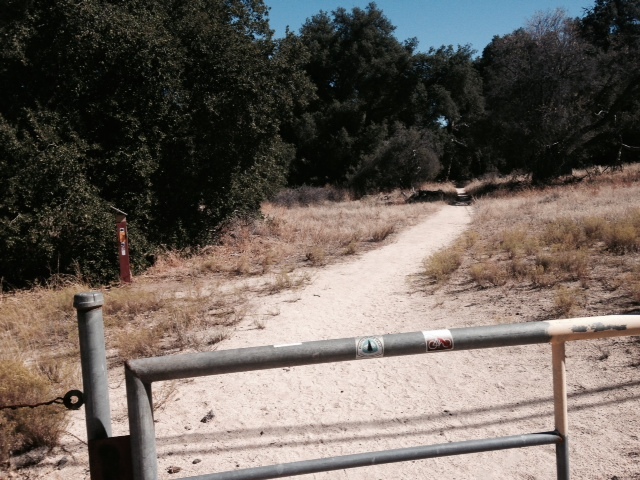 From the turnout across from the fire station, carefully cross Highway 79 and enter the metal gate, signed as a Pacific Crest Trail access point. 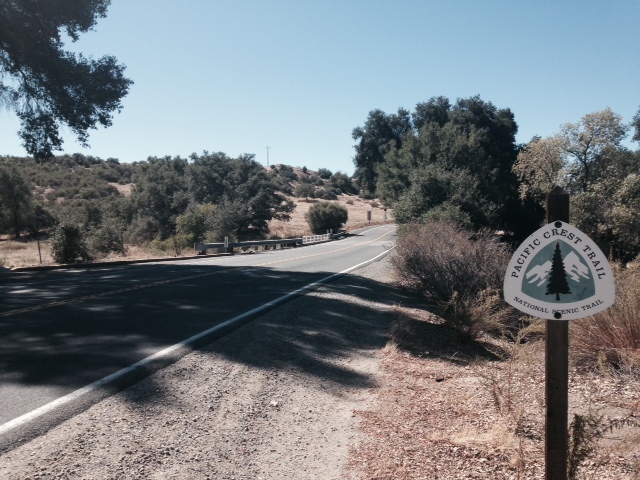 It drops down to a stream bed and heads east, passing the fire station and school before reaching another gate and a junction with the California Riding & Hiking Trail. The CR&H Trail heads left; the P.C.T. 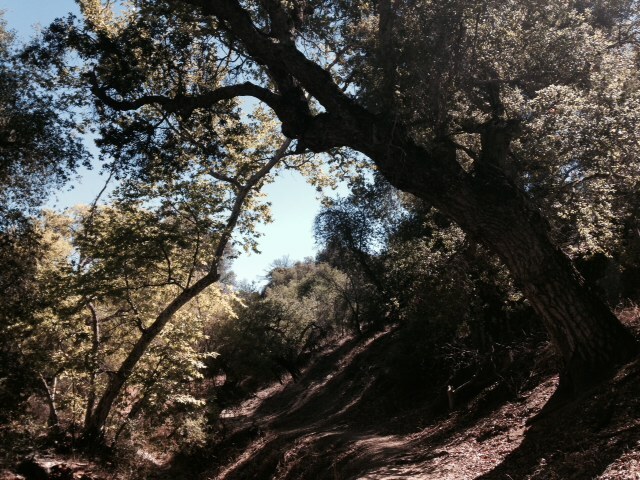 heads straight, entering an attractive canyon filled with oaks, sycamores and willows. You follow the P.C.T. generally east for a very pleasant mile plus, weaving in and out of woodlands, before emerging at a meadow. 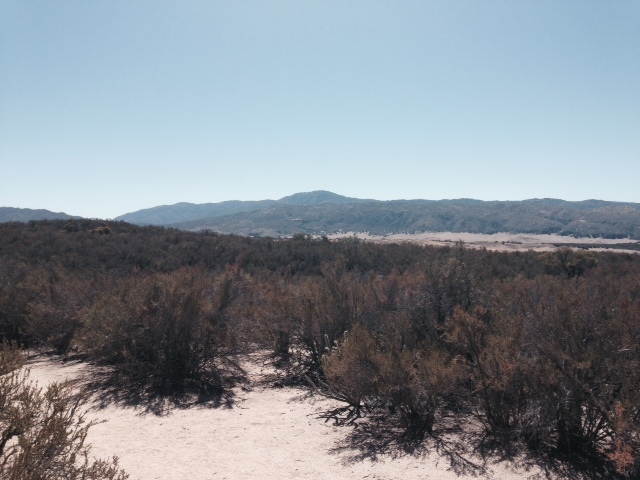 Here, you can see Hot Springs Mountain, the tallest point in San Diego County, dominating the landscape to the north. You begin climbing, reaching the top of a ridge at about 2 miles from the start. On the way up, keep an eye out for the Palomar Mountain Observatory perched high on the hills to the west, resembling a golf ball. On the opposite side of the ridge, the landscape becomes more desert-like, with manzanita trees and even a few cholla and prickly pear cacti. You gradually descend into a valley, taking in views of the Vulcan Mountains on the way and then make another climb to a saddle, where you can see Eagle Rock in the distance. The P.C.T. makes another descent before climbing gradually to a spur leading to the giant granite formation. 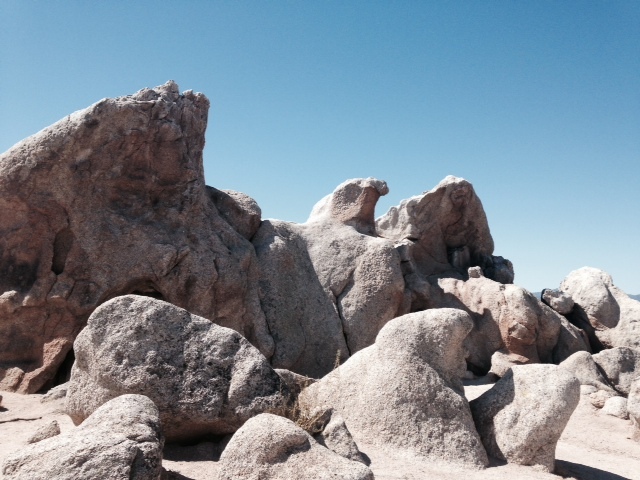 From the back side, Eagle Rock’s resemblance to its namesake is quite striking. In addition, the views in all directions are outstanding, making this a perfect spot to sit and enjoy some solitude before heading back. I’ve done this hike numerous times and its a scenic easy stroll alongside a creek and beautiful wildflowers everywhere in spring. In the summer its a hot hike. 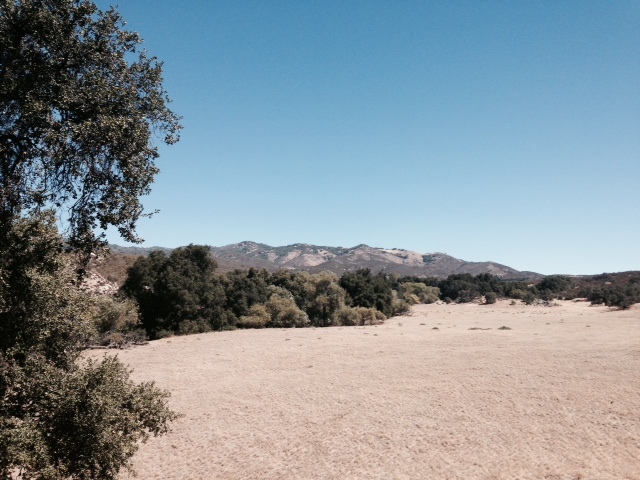 Lots of wildlife and you’re sure to see deer, a fox and a flock of turkeys not to mention a herd of cows or two. Great hike! Thanks for the info! Quick question- did you need any pay for any kind of parking pass/entrance fee for this hike? We’ve done the PCT a few time near Mt Laguna and had to get an AdventurePass- is that not the case here? You shouldn’t need one. The official rule is that you only need Adventure Passes where there are improvements at the parking area (rest rooms, picnic tables, camp sites, etc) and there are none at this trail head. Still if you have a pass you might want to put it up just to be safe. Enjoy the hike!